The new version of Pandemic has increased the popularity of the game, but it has been surprising that we haven’t seen any electronic versions of it. It seems like it is the perfect game for a tablet. Fortunately, we will finally be able to see it come out on the iPad early next month. 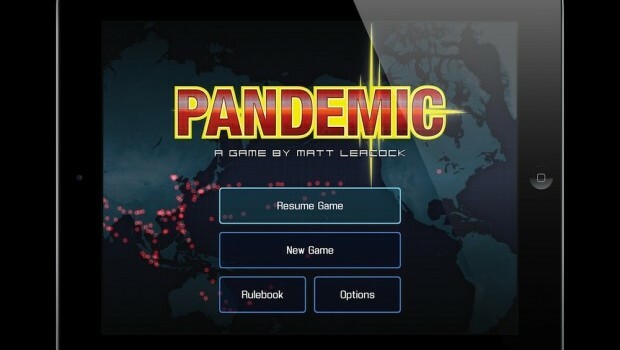 Players have long been clamoring for a digital version of the multi-award winning board game, Pandemic. Well, the wait is almost over! F2Z Digital Media and Z-Man Games are proud to announce that Pandemic: The Board Game will be available on iPad on October 3rd. Since its release five years ago, Pandemic quickly spread worldwide with the support of specialty game stores and a rabid fan base. In fact, the game has been translated into 14 languages. It includes solo play, pass and play for up to four players, all seven roles, and multiple difficulty levels. I really can’t wait to see what this looks like when it comes out on the iPad, and if it’s successful there’s no doubt in my mind that the expansions will be coming as well.